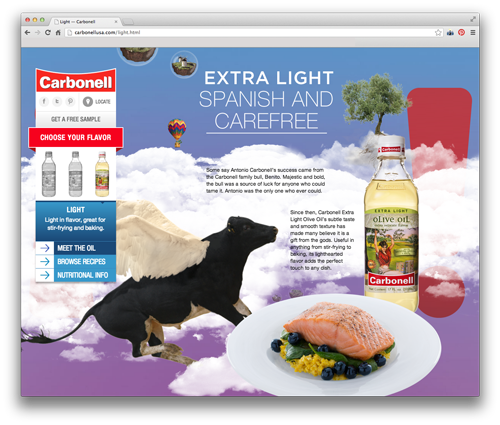 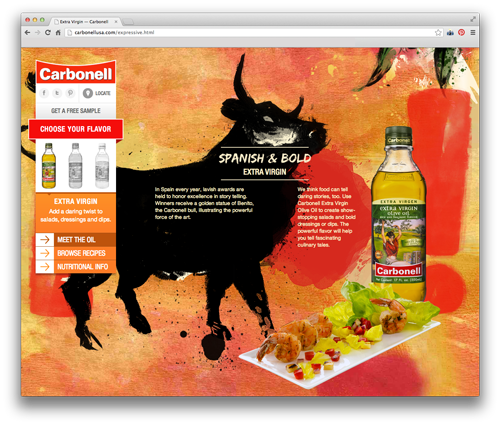 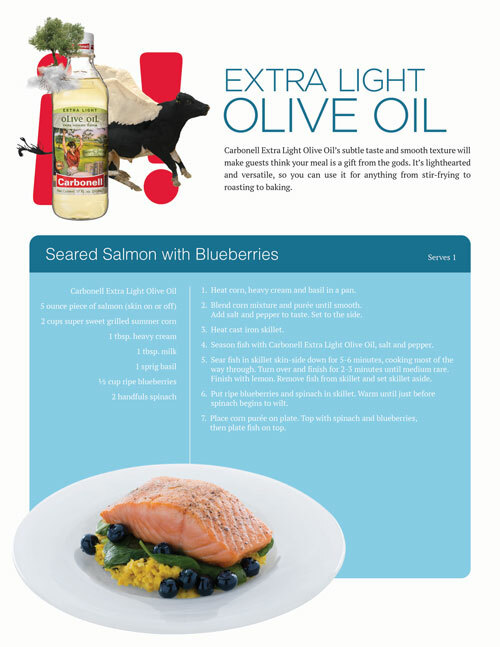 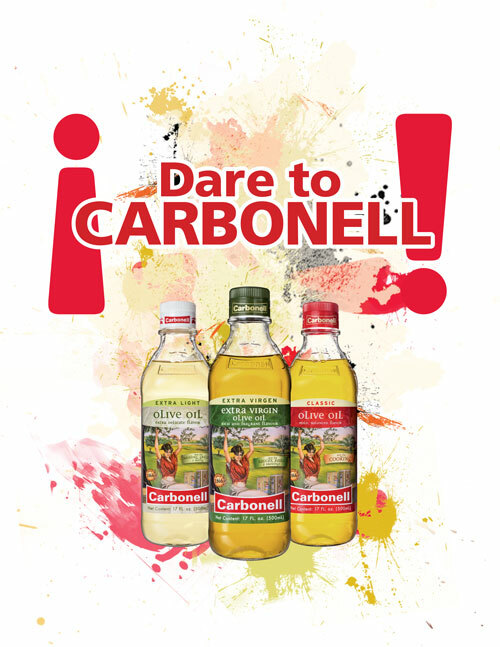 Carbonell’s Extra Light Olive Oil is fantastically light. 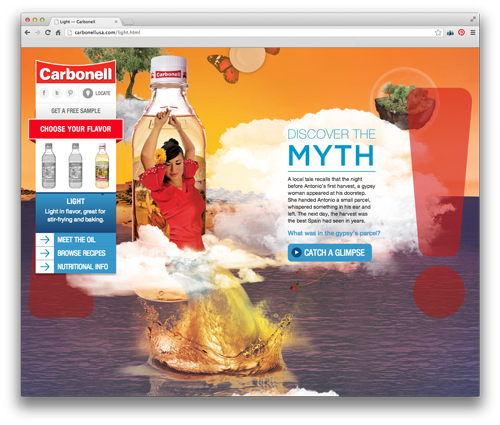 Throughout the website, users can explore and find hidden surprises. 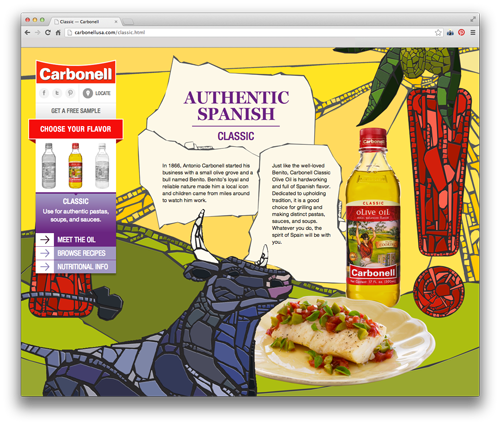 Carbonell’s Classic Olive Oil is distinctly classic. 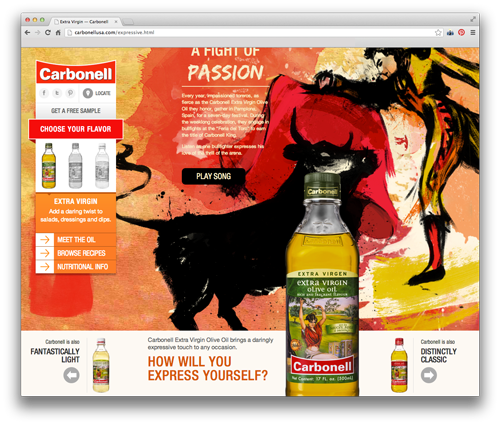 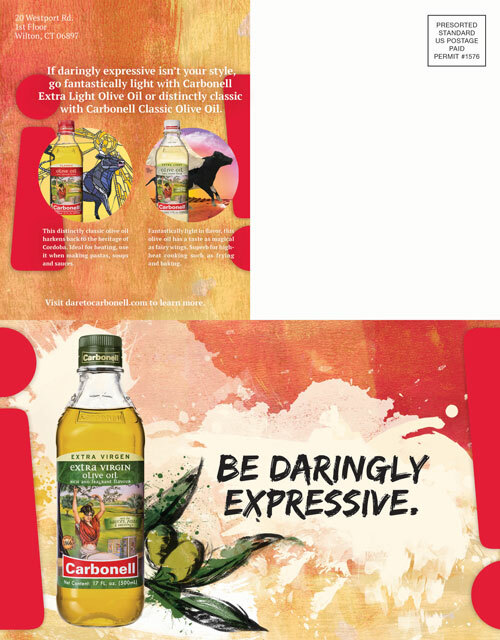 Carbonell’s Extra Virgin Olive Oil is daringly expressive. 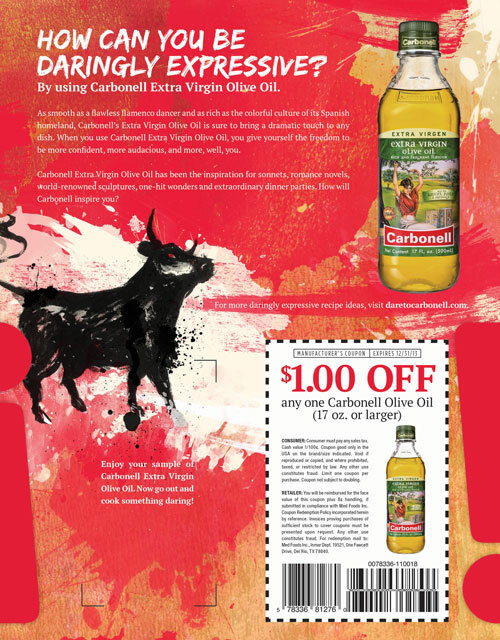 To spread word about our sampler program, we created a mailer that helped show off the new branding.